The village Horné Saliby is situated in the south-west of Slovakia in the Trnava region, 10 kilometres southwards the regional town Galanta. It stretches on the both sides of the river Dudváh in the Danube basin. Let's have a look first at the small history of the village that was settled already in neolith. After the downfall of the Great Moravian Empire in the 10th century the Magyars (Hungarians) settled this territory. The first written reference comes from the year of 1158. At that time the king Gejza granted some properties to the Nitra church. The subject of the grant was one third of the market toll of Sely (Saliby) also with fishermen and fishery. In the land files of the Pannohalmské abbey from 1226 the village is recorded under a name of Zele. It belonged to a cloister in the Panónska Mount. In 1523 the village got a charter. Yet the negative social and war-political circumstances related to the anti-Turkish wars caused that it never happen to operate. In the 16th century Horné Saliby was a subjective village of the Šintava domain. It was a property of aristocratic families of Thurzo and Báthory. 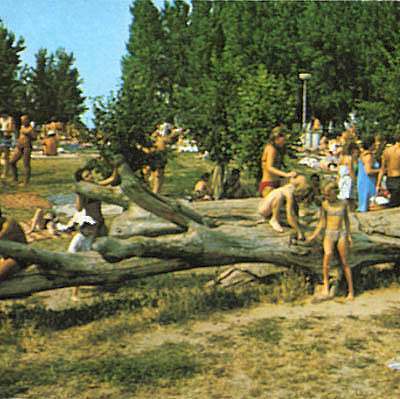 In the 17th century the aristocratic family of Esterházy got it as a part of the Šintava domain. The majority of residents worked in agriculture. The village had kept such a character after the year of 1918, too when it was integrated to the Republic of Czechoslovakia. In 1938 the Vienna Arbitrage adjudged the territory to Hungary where our village belonged until 1945. During the first post-war years were many Hungarian families deported in the Czech border. Most of them have returned. In 1947-1948 following the interstate agreement it came to a migration of the inhabitants. 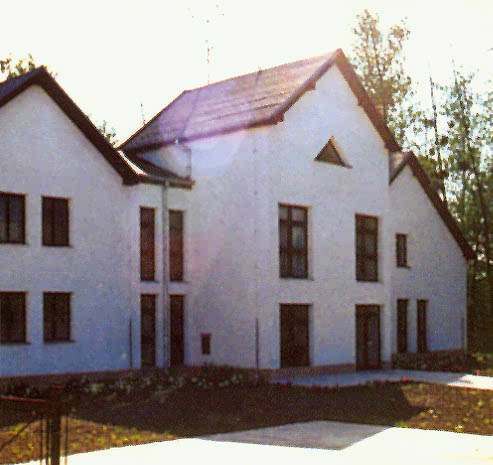 Hungarian families were moved out of Horné Saliby to Hungary and Slovak families came from Hungary to the village. In terms of the climate conditions the village is one of the warmest places in the whole region. It is a warm dry region with mild winter and longer sunshine. 33 % of people claim Slovak nationality and 67 % Hungarian nationality. 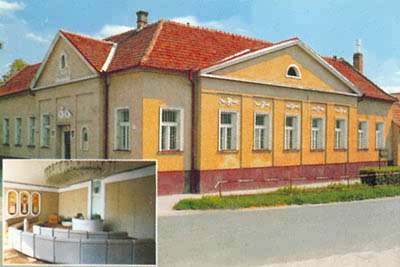 In the village there is a health centre, nursery school, primary school with Hungarian teaching language, a Culture House, library, gymnasium and a sport centre. The Roman-Catholic church was built in 1775 and the Lutheran church in 1858. 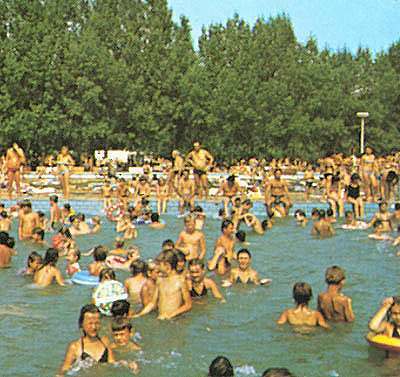 In the cadastral area of the village there is an outdoor swimming pool with capacity of 2800 people. 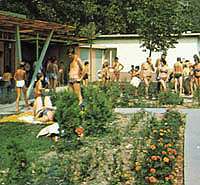 With its thermal water it has been drawing tourists since 1980. There are two large pools for adults and two pools for children waiting for the holidaymakers. Then there are lodging facilities, cottages, caravan site and various attractions. Each year in June the village organises spectacular festivals called "Obecný deň" (The Village Day) when cultural and sport events take place. The communal football team plays the 4th league. The sport – shooting club works very good. They reach great results in shooting from historical and low – calibred guns and they are incluted in the highes qalification of the World Championship. They have begun with constructing of rifle range. Very interesting is the work of cynologie club and the Club of Slovak tourists. The hunting association called DROP is in charge of all rights of hunters on 2123 hectares and it has 53 members . In its hunting ground there are quite a lot of animals. Rabbits, pheasants, roes, ducks are hunted there. We must not forgot the folklore groups. 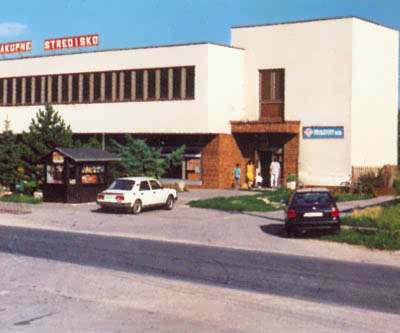 In 1989 was established a folk group called MATIČIAR, which is called CHEMIK near cultural – social organization of city Šala from 1997. In 1993 was formed a dance group MÁTYUS which performes in Slovakia and also abroad and it keeps the tradition of Hungarian folklore. There are two children folk groups.Sing group ROZMARING celebrated the 20th anniversary of foundation in 1999.